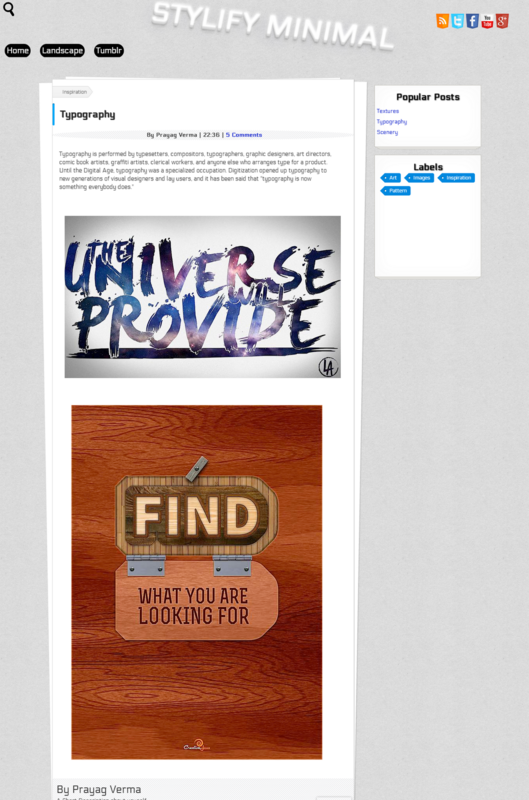 - Firstly After Installing the Template Go to Layout and Edit the Blog Posts Widget. Now untick these options and save. - In the Download package copy all the content of the Widgets.txt file. 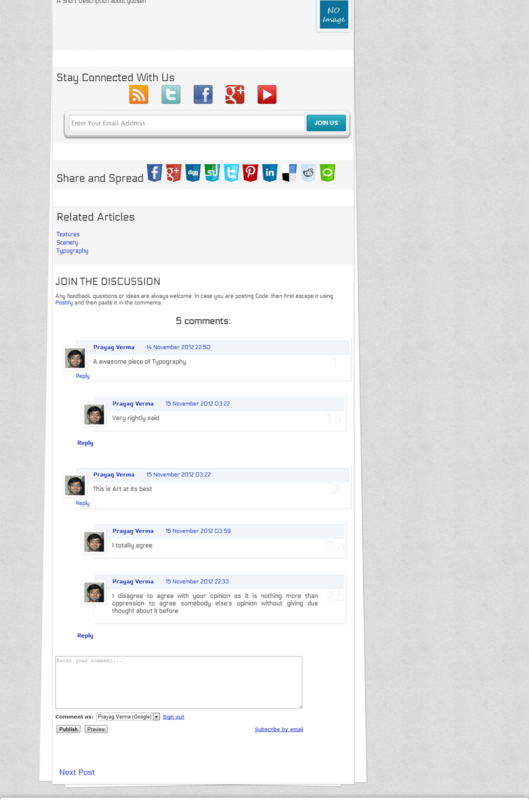 Awesome, it's actually the first mobile responsive blogger theme I've come across and I'll definitely recommend it. That's what I call creative mind, cheers Prayag :) keep it up. Hey its a very nice template..
Only 1 thing I want to know is that it has auto read-more hack but in the summary only text is coming so please tell me how to add images to it. Also one thing that if anybody comment, only the default image coming so how to change that setting like if I comment, my image will appear. This is generally in all templates. This was the settings that was present in the Old Blogger Dashboard . It allowed you to choose whether to show or not show the commenters profile image. Currently this settings is not available in the New Interface. So in the old interface if you selected to show default images then that settings is continuing in the current interface and we have no control as of now. How to disable profile image in blogger comment like you? Please help! Hey can you please tell me how to hide gadgets on a particular page and how to increase the width of that page. Hi Prayang. I want ask, how do you make the comment avatar to one image avatar only. Just like your blog. Super awsome you know. Light and fast. How to make a search result page like your blog? One more thing, how do I order the title of the blog is not to be skewed (shifted)??? How do I add meta keyword ? B- How to remove the "paper appearance" of the post body to make it look like this one right here. Because while it looks sleek on the main page, when visiting a label with a lot of posts it enlarges to the point where it sneaks behind the sidebar and distorts the smooth look of the template. I like the template and have been using it on my new blog. But I've ran into a snag. At the end of a post it will say "By Jesse Focht" and underneath it says "a short description about yourself." I can't figure out how to change the short description part to actually having a short description of myself. If I can't change that text how do I remove it?